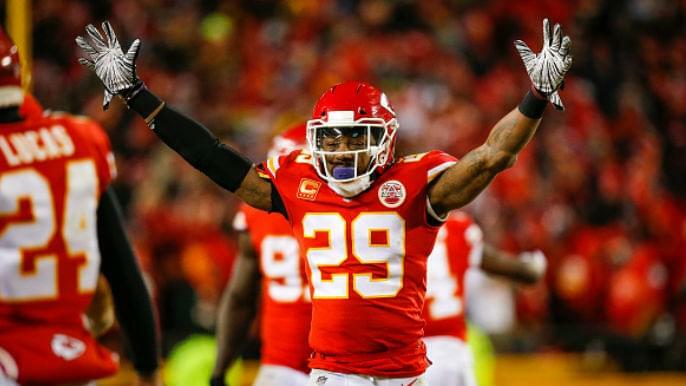 The 49ers made the splash many hoped they would in free agency, signing six players and trading a 2020 second-round pick for Pro Bowl edge rusher Dee Ford. The 49ers spent around $53 million against their 2019 cap. The team was aggressive but economical. By releasing four players (Pierre Garcon, Garry Gilliam, Earl Mitchell, and Cassius Marsh), the 49ers saved about $15 million in cap space. The NFLPA indicates the 49ers have $37.34 million in remaining cap space, the third-most in the league. They can still afford to pursue remaining free agents. The vast majority of the activity has died down, but there are multiple Pro Bowlers, at positions of need for the 49ers, still looking for a home. The top edge rusher in the remaining free agent crop will likely remain unsigned for the foreseeable future. Why hasn’t pass-rusher Ziggy Ansah signed yet? His agent said teams wanted more info about his surgically repaired shoulder. The plan is to wait until his 4-month appointment in mid-April to help determine his readiness. After the initial FA push, there’s no rush to sign now. Ansah has battled injuries throughout the past two seasons. He started just two games in 2018 due to a shoulder injury that ultimately sent him to injured reserve in mid-December. He hasn’t appeared in all 16 games since the 2015 season, which ended in his lone Pro Bowl appearance. When Ansah is healthy, he’s a premier pass rusher. But it’s tough to spend big on a player with his recent injury history. Spotrac projects Ansah’s annual salary at $13.6 million. Ideally, if the 49ers could sign Ansah to a one-year deal for cheaper than the above figure, he could be a lethal piece to stagger with Ford. The 49ers will likely wait until the draft to add another edge rusher. But if they plan to take Alabama defensive tackle Quinnen Williams with the No. 2 overall pick, instead of Ohio State defensive end Nick Bosa, Ansah could be a target. Kyle Shanahan has habitually brought in players he coached in past stops, whether Pierre Garcon, Aldrick Robinson, Mike Person, or Tevin Coleman. And like most of those players, Levitre’s best years came during Shanahan’s two years in Atlanta. Levitre was a starting left guard for the first eight seasons of his career. The week before the 2015 season, in Shanahan’s first year with Atlanta, the Falcons traded for him. Levitre’s top two seasons followed. Levitre, 33, played in just three games in 2018 after tearing his triceps. He counted for $5.88 million against Atlanta’s 2018 cap. Coming off injury, and entering his 11th NFL season, he won’t demand that kind of money moving forward. 49ers starting left guard Laken Tomlinson signed an extension that will keep him with the team through the 2021 season. The club also extended Person, one of the pleasant surprises of the season, for another three years. But there isn’t much depth at either position, with Erik Magnuson providing relief at both spots. Boston is experiencing a bad case of deja vu. Last year, he was victim to a slow safety market, and he did not sign with the Arizona Cardinals until days before training camp began. He settled for a one-year, $1.5-million deal, remarkably cheap money for a player coming off a season in which he had five interceptions. Boston put together another solid year in 2018. Boston graded as Pro Football Focus’ 24th-best safety. He posted three interceptions, 79 tackles, and three tackles for loss in 14 games. The 49ers, for context, had an all-time low two interceptions as a team in 2018. The one communal complaint of San Francisco’s free-agency approach is the team choosing not to add a safety. The 49ers re-signed oft-injured Jimmie Ward, instead. Boston, who can play either safety spot, would give the 49ers a solid starting option after they cycled six players in and out of the two positions in 2018. If last year’s market showed anything, Boston won’t break the bank. It’s hard to imagine Berry carrying a hefty price tag considering his recent injury history. After two straight seasons that ended in first-team All-Pro appearances, Berry has been limited to three appearances throughout the past two years due to heel injuries. Berry is 30 years old, and he likely demands a one-year, prove-it deal to show if he can a) stay healthy, and b) still perform at a high level. For a 49ers team with little clarity at the safety positions, adding a presence like Berry would, at the very least, promote competition. Ray is a first-round draft pick who has not lived up to expectations. He tallied just 14 sacks in his first four NFL seasons, eight of which came in 2016. He has battled a wrist injury throughout the past two years. Marsh’s release earlier this month may signal that another edge rusher is coming. That player could be the 25-year-old Ray, a low-risk, low-cost investment who still has time to salvage a slow start to his NFL career.